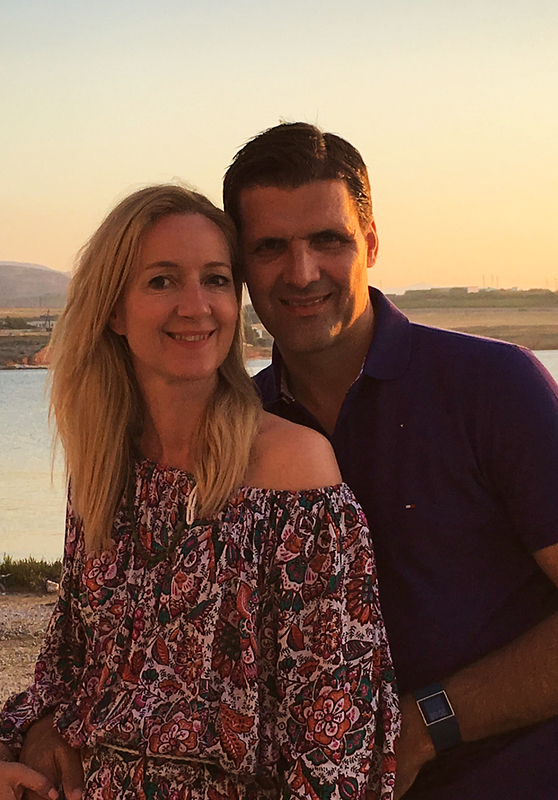 During a trip to the Peloponnese in 2005, my wife Valentina and I discovered the regions of Messenia and Achaia and fell in love with the idyllic landscapes, the coasts and their inhabitants. In the last 10 years in which we have worked in Greece, we have not regretted a single moment. After 15 successful and experience-filled years as civil engineer in Germany, in the beginning I passionately renovated stone houses in the old, traditional style. During that time, my wife always stood by my side with her extraordinary understanding for colors, materials and interior design, and thus shaped the character of these houses. This passion led to the construction of new stone houses with individual, rustic, modern or very elegant decor. The charm and aura of the traditional elements combined with modern technology is purely fascinating. We build houses in places where people really get real value for their money. the symbol for quality of life reaches many people who are looking for a healthy investment and want to fulfill a small dream additionally. We value the respectful interaction with people and believe in the idea of making life better and at the same time not more expensive, by making good decisions; on the contrary, we want to obtain added value later from our spending and, during that time, enjoy our life in one of the most beautiful and not overpopulated regions in southern Europe.